Its almost as if the standard conforming mortgage loan somehow uses the 10 Year bond yield as a signal or something (lol). With the ten year yield getting close to 3%, there has been some discussion about whether mortgage rates would hit 5% soon. 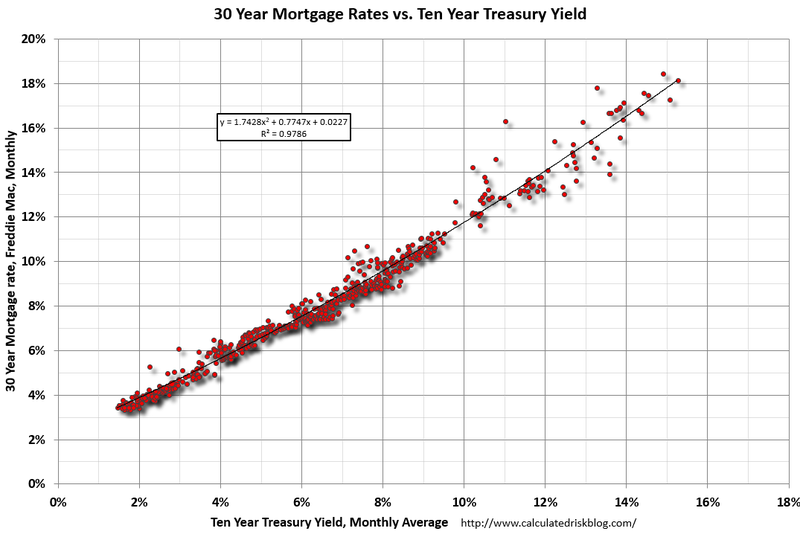 Based on an historical relationship, 30-year rates should currently be around 4.75%. . .
To reach 5% (on the Freddie Mac survey), based on the historical relationship, the Ten Year yield would have to increase to about 3.25%.